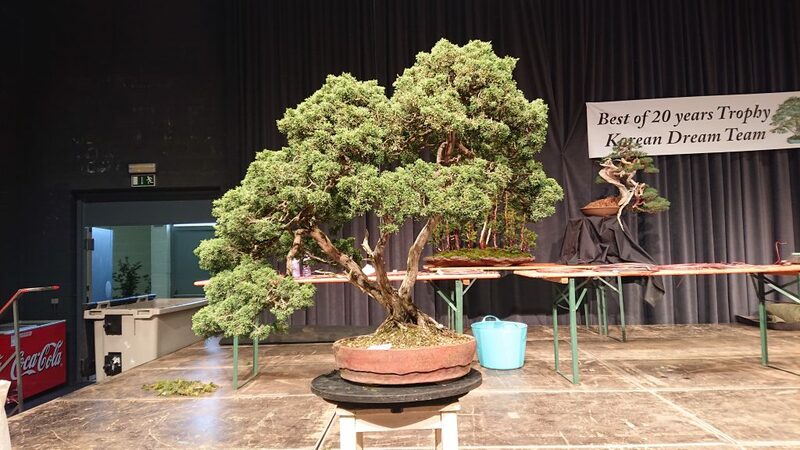 On Sunday the four demonstrators continued with new trees. 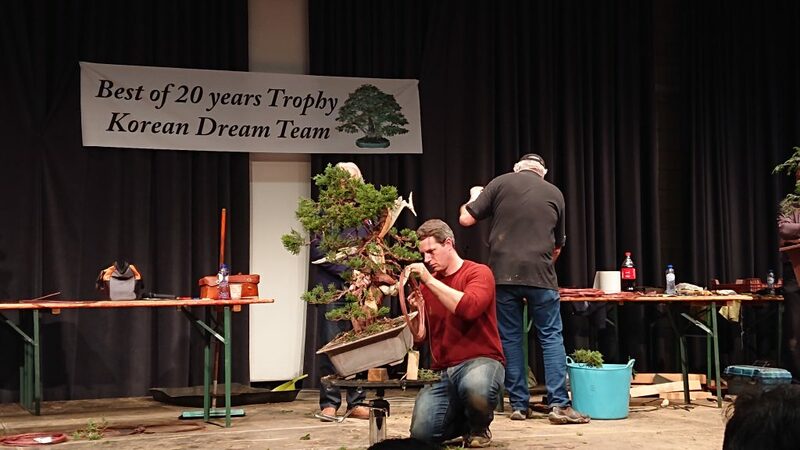 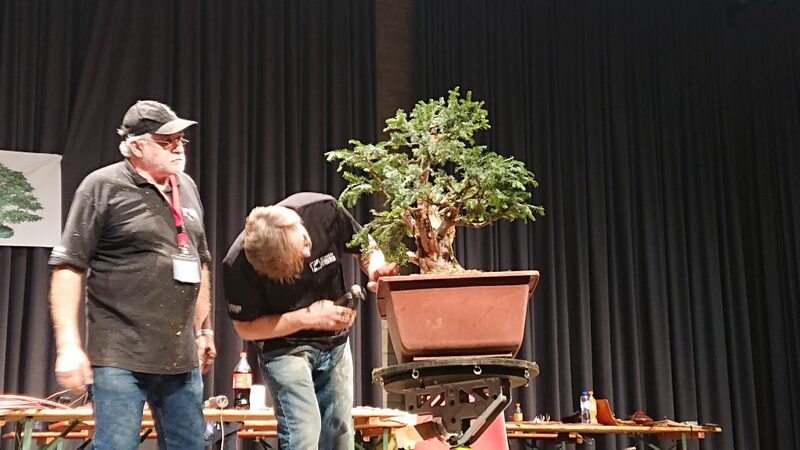 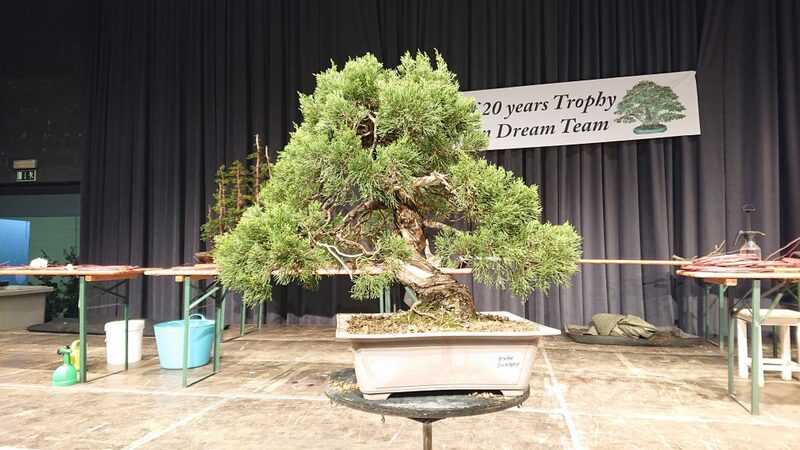 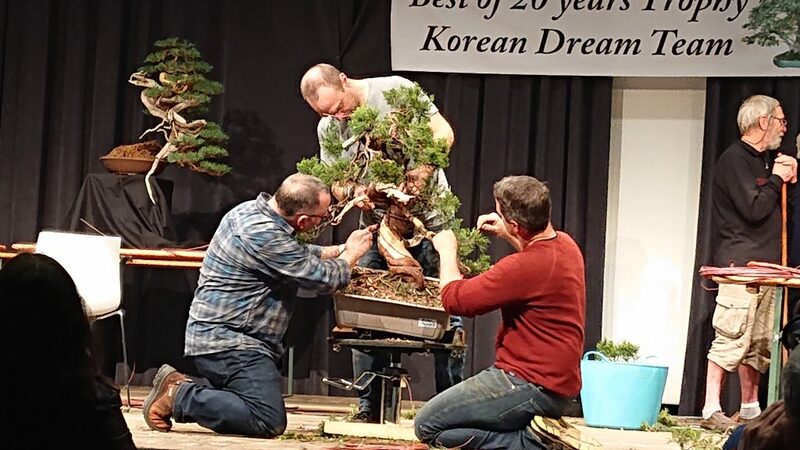 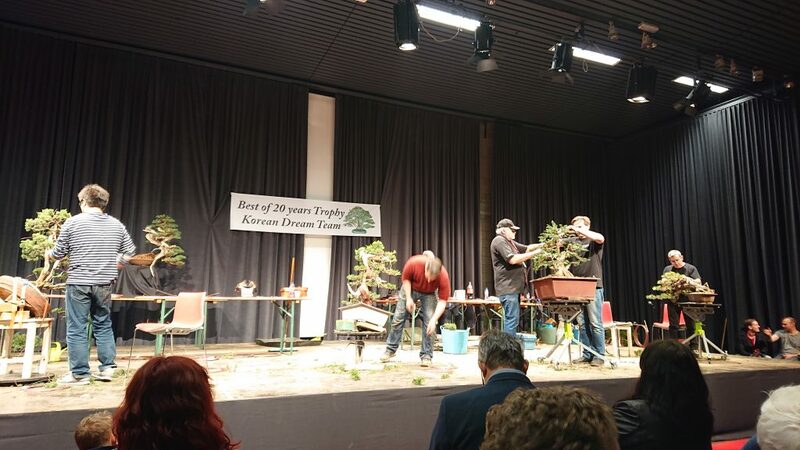 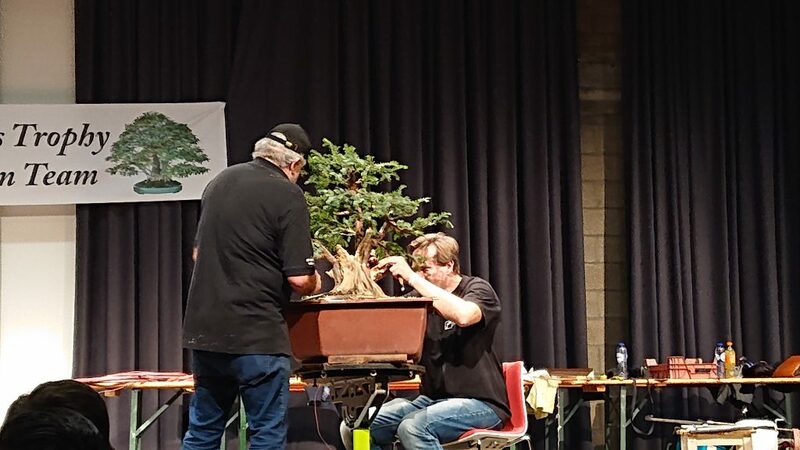 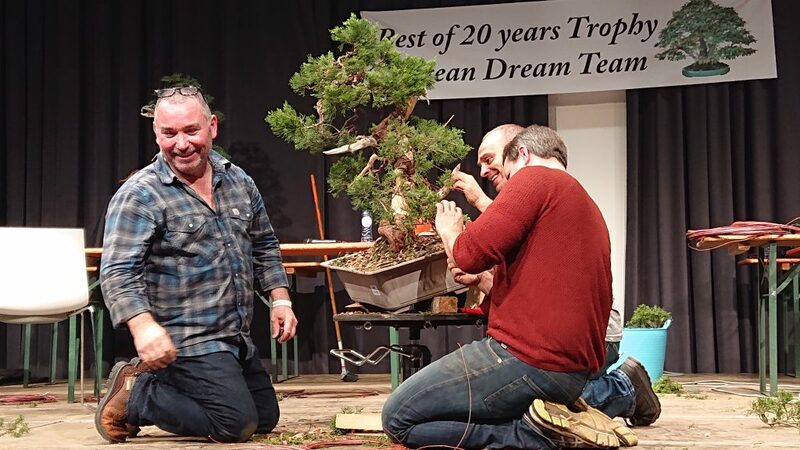 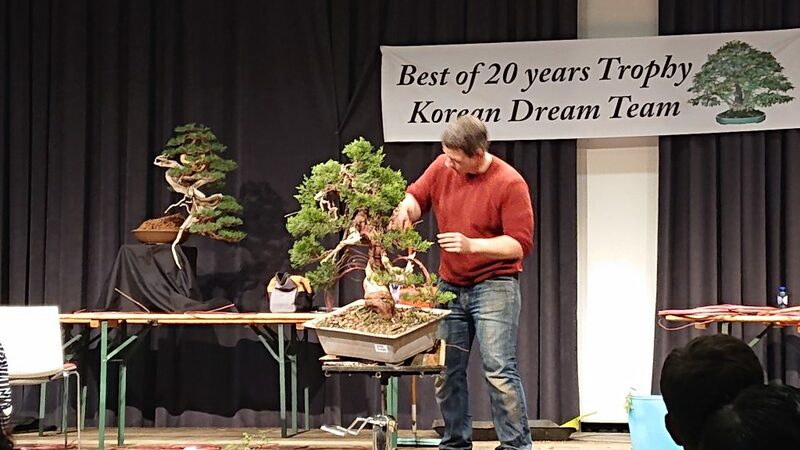 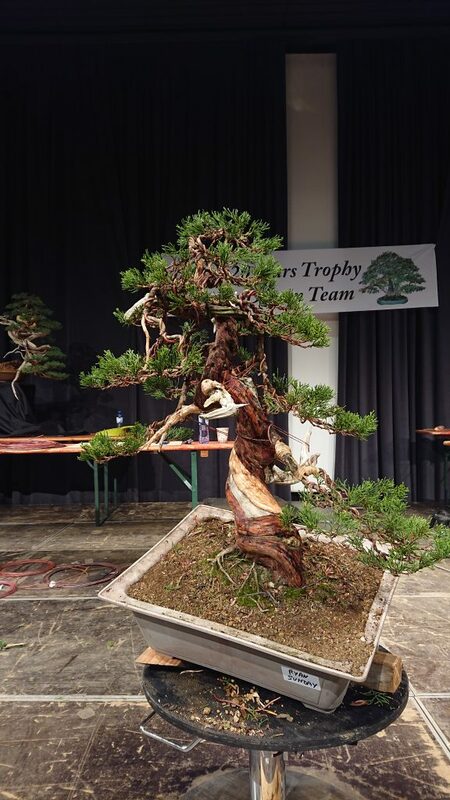 This time Masayuki work on a tripletrunked shimpaku, Ryan got an upright shimpaku, Vaclav had a bushy english yew from a garden and Gabriel worked on another scots pine. 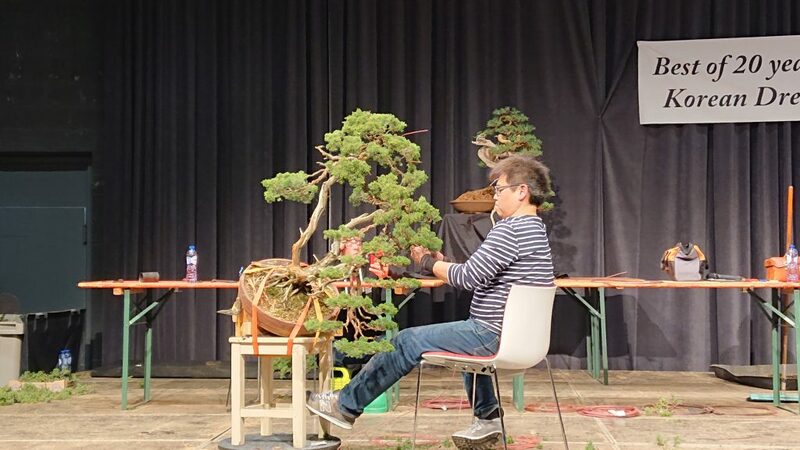 An angle change and he expressed that he would make it a literati tree. 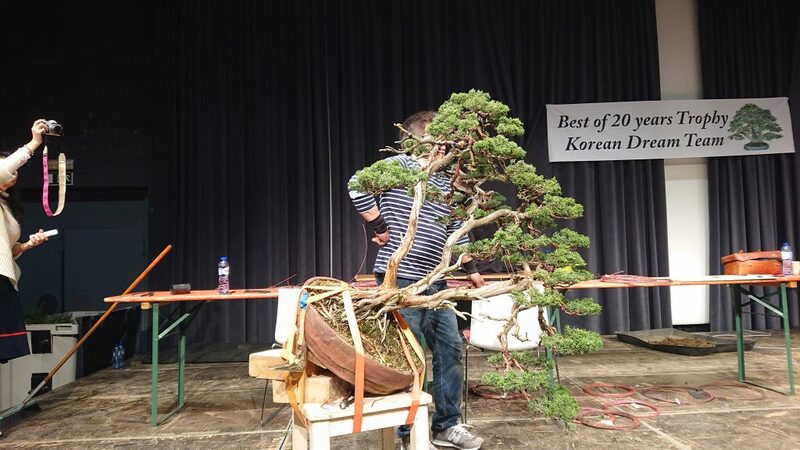 Wiring started, I originally thought that he would cut the lowest branch. 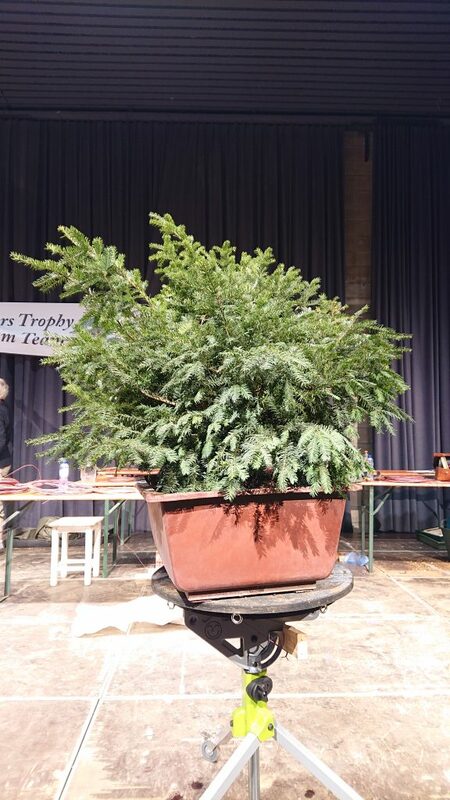 Vaclavs very overgrown english yew. 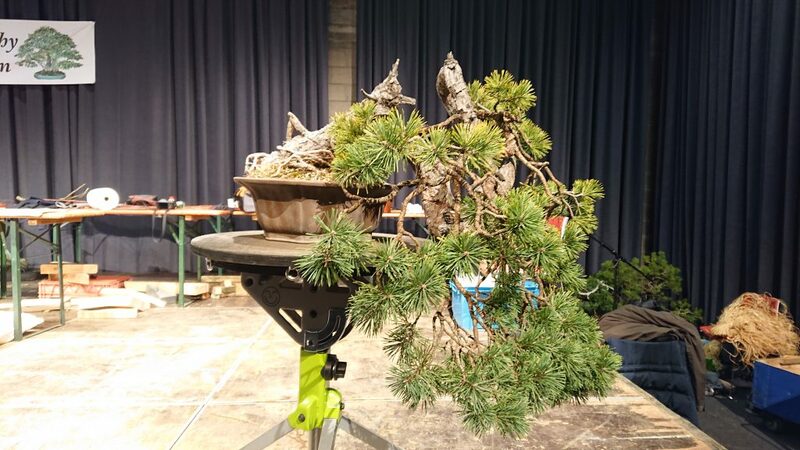 Branches are pruned and deadwood are worked on. 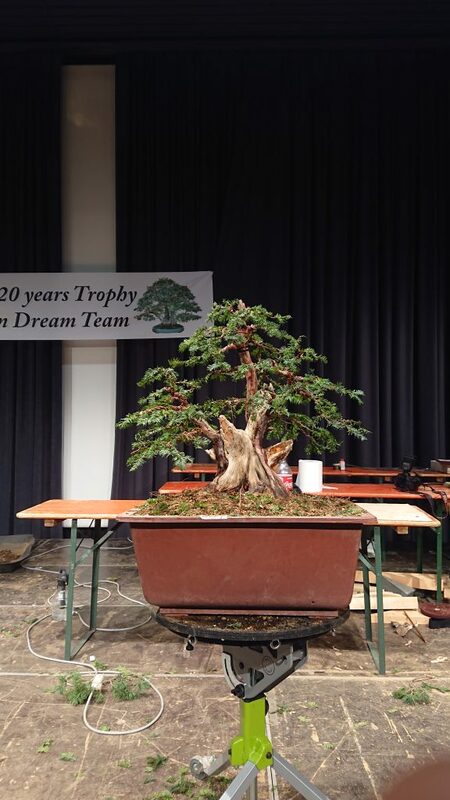 Gabriels tree before the demo, the major branch was bent a few years earlier. 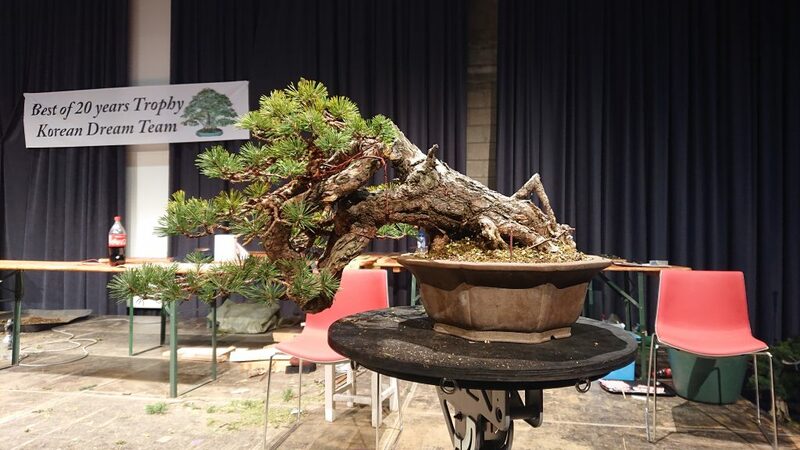 The pine after the demo. 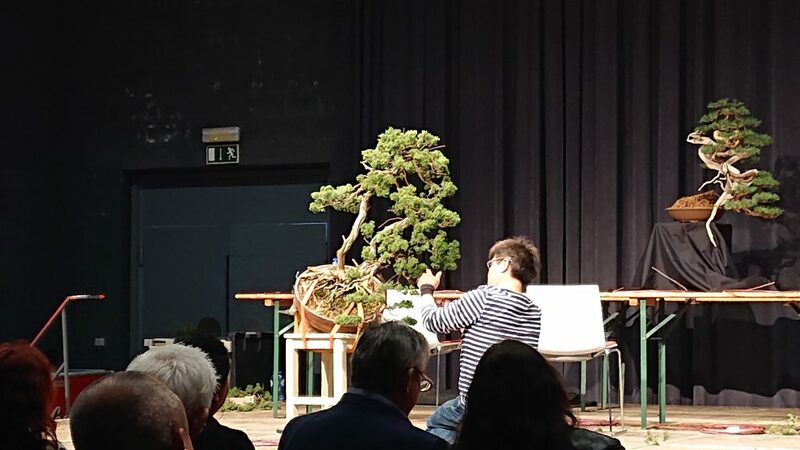 I sat at the other end, therefore I don´t have any pictures taken during the demo.